Bet that's got you wondering! Although it's the week I always make a snippets card, generally with a linked prize - this week there isn't a snippets card at all. Basically I ran out of time and also inspiration after rattling off several cards in quick succession for the Christmas and New Year bumper giveaway. That has now closed, along with being able to comment on prizes - on the dot of 11am this morning - here in the chilly UK. I'll publish the winners next Sunday along with the fortnight's picks - much the same as usual but with a good few more prizewinners of course. Speaking of prizewinners, before I move onto our prize for the coming fortnight - here's a list of the 20 winners of the Tombow Mono Sand Erasers. I used the random number generator but it takes too long to fiddle around publishing 20 screen shots, so you'll have to trust me. I took the time and trouble to link back to your blogs - only hope I got them all correct! The names are right - even if the links aren't. To make life much easier for me in terms of addressing all these prizes, can you please send me an email with your name and address (my addy is on the RH side bar) with Eraser as the subject. I know I have a good few of your addresses but it would save me from flipping through files and old emails - a quick copy and paste into a labels template here would help me loads! Thank you - and congratulations to all the winners! I'm not holding any of the eraser prizes back waiting for the 'big draw' - once a prize is drawn and won then it's got to be sent on its merry little way, otherwise I get into a real pickle. I'd rather post two packages and keep things in order :) Besides which, it sends Parsnip into a little white fluffy ball of confusion! I recently watched a Jennifer McGuire video, where she was showing the Lawn Fawn Shammy and singing its praises. Lately I've got much more picky about any teeny bits of 'fuzz' that get left behind when cleaning my stamps with baby wipes - those little perishers tend not to show up until you next come to use the stamp needless to say! And, of course popping used baby wipes into the waste all adds to landfill issues. I ordered three of these little beauties and have to say that I'm delighted with mine. This fortnight the other two are on offer - two winners, with one Shammy per person. 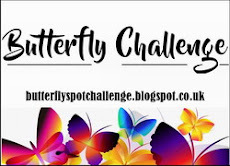 As always, the Snippets Challenge will run for two weeks and the Playground gates will close at 11am UK time on Saturday 20th January. The gates will open again at midnight UK time on the same day. Be sure to call back next week to see the winners of last fortnight's Bumper Christmas/New Year giveaway! Again, we won't have a guest designer but I'll be showing my 'picks' from last fortnight of course. It looks like 13 is my new lucky number!! Thanks so much, I am anxious to see how this eraser works! Thanks so very much - I'm emailing you shortly. I will also enter a card for this challenge and say yes please to the shammy drawing too! Have a great week ahead and thanks so much! I thought I went to the post office a lot, but oh my goodness--they really must consider you a friend! So many prizes to mail & you haven't even done the bonus draws yet! I keep my sand eraser on my table, so know all these folks are going to love having this. Must say--it sometimes works like a charm & for other inks not so much, but very worth having! I almost bought a Stamp Shammy, but never did, so please include me in the draw, Ms Di! Stay warm! By the way--we'd always trust you with the draw, so no need to ever do the screenshots if that would be a help running The Playground! Yes please to the stamp shammy! I have been really wanting one!! BIG congrats to all the winners of the Eraser! I have seen this Law Fawn Stamp Shammy, and it's very intriguing! As you say the baby wipes always leave little fuzz on the stamps and is a shame waste them. So I will love win one of these items. Hope to enter early with a snippets card. Congratulations to all the winners of the sand eraser . . . A V useful addition to yr craft room tools. Ooh thank you Di - so pleased I’ve won one of the sand erasers, I’m sure ut will earn its keep! Thanks to you and Mr Random for picking me as a winner of one of the erasers. I'll be in the playground soon and would love a chance to win the shammy please. Lucky me for being picked as one of the eraser winners - thanks so much. The shammy is something new buts looks so handy so could my name be popped in the hat please - those stray fibres which get onto stamps are such a pain! I think I should go out and buy a lottery ticket...I'm definitely on a winning streak at the moment! I have one that one friend from Australia sent me . How lovely to see I am a lucky winner Di, thank you so much. I’m really looking forward to erasing my faux pas’s! Congratulations to all the other winners! The shammy looks brilliant, so I’m a yes please for this if you don’t mind. I’ll be entering my card soon. Happy New Year to You ,Len, and Pasnip. Wishing you the very best for this New Year. Yes if I'm lucky as that sounds wonderful. Sorry I have been missing for a while I've had that nasty cold bug thing for weeks now and it's still not shifting. One min you think oh I am at last getting better, and then it knocks you for six all over again. Yes please for the shammy prize draw! I think even if I not the lucky winner, I shall invest in this product. I have been caught with the fibres from the wipes as well and it is a waste of good copic paper! Thanks so much for the eraser win. You are such a generous soul. I never got a chance to take part in your other celebrations as we were both sick here with a nasty flu. We are still suffering the last of it...Al much more than I now. HUGE Congratulations to all the lucky winners named above. 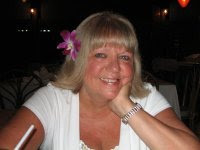 Happy New Year to you Di!! Wow Di, what a big job you had to do. My compliments for all your patience to choose the winners and sending the prizes. I am so glad I am one of the lucky ones! Today I see the new prize and did not know this item untill now. So: yes to this shammy! Wow! Thanks so much, Di! I'll be back tomorrow with my latest entry, so it's a yes please from me. Oh, my goodness.....are those annoying fibers on my stamps from the baby wipes???? I thought they were CAT HAIRS!!! Seriously. In my craft room, I likely have both...lol. Yes, please, to the shammy/chamois prize drawing. Congratulations to the winners of the Sand Erasers. I have one that I manage to employ quite regularly. I appreciate its small size because it fits easily into the cubbies in my drawer organizer. I know that the winners will get a lot of good out of their prizes. You are so kind to share your windfall. Congratulations to all Lucky winners! Goodness here! 'Would love to see Shammy at my craft table, so a big YES for this prize! Congrats winners...would love to win..please count me in..
Congrats to all the winners! I have to say, I have been wondering about the shammy. It would be useful not to have those bits on the stamps and probably save the environment from too many baby wipes. So yes please! And always, thanks for hosting this great challenge! Congrats to all the lucky dogs, I mean lovely peeps :-) that won an eraser... I'm not jealous AT ALL, lol. You must be so glad the marathon is behind you Di, back in rhythm now. Yes please for a chance at the shammy... another thing I didn't know I needed until you showed me, rofl. Congrats to all the winners. Stamp shammy looks amazing, so yes please. Di, Please include me in the drawing for the prize. Thank you. Well done to all the winners and yes please to going in the hat for the shammy. 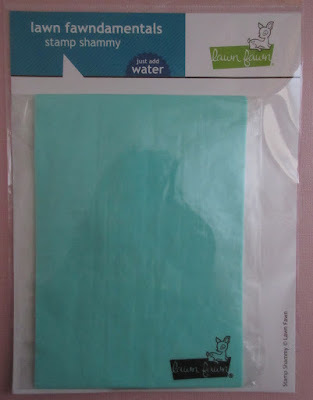 I feel guilty about all the baby wipes I use, and I have a hairy black stamp cleaning mat but I've noticed stamps I've cleaned with it don't seem to give such a sharp image afterwards - I think it sort of "blunts" them, so I seldom use it unless a stamp is really badly stained. 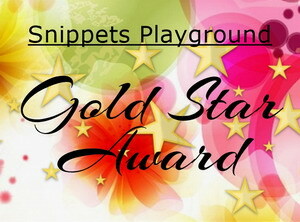 Finally I'm entered with my snippets card! :D Yes thank you for this super-prize!!! Just found your blog, great inspiration. Yes please for the chance to win the shammy - what a fab product. I'd given up cleaning my stamps properly because I kept getting all those annoying fibres. 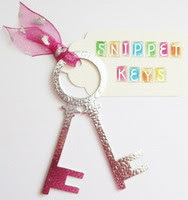 Just entered my make for this fortnight Di, and yes please to the shammy, might make me clean my stamps a bit better! Yes please to the shammy prize draw. My first time entering here, woo hoo! Thank you for the chance to win (yes for the prize!) and thank you for this inspiring challenge idea! Happy to hav found my way here! I love the ease of using the baby wipes (and for the most part, the price can't be beat! ), but those little fuzzes are sooooo annoying!! So, yes, please enter me in the draw. Though if I don't win, I might go still one of my husbands new car cleaning shammies!! Shhhh . . . don't tell. Happy 2018! I have a shammy (the ole car one, not the cute LF one) but love it! A belated Happy New Year, my friend! I'm bringing my sled in hopes that Parsnip and the girls will join me in some sledding. It's been a while since I've been on a sled and I'm a bit rusty. Hope there's a bonfire to warm us a maybe something warm and tasty to drink? Just playing for fun. I bought a large synthetic shammy at the local supermarket and cut it up into 4 pieces. So far, I'm really happy with the results. Yes please to the prize drawing. Thanks! I am finding Lottery Winner Portal Online. So, that's why I reached on your blog right now please tell me if you provide Idea lottery. I want to become Idea Lottery Winner 2018.